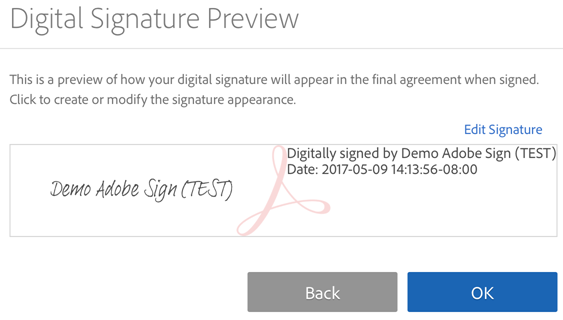 Adobe Sign for iOS is a mobile companion to the Send for Signature tool and enterprise-class signature services provided by Adobe Sign. It’s the ideal tool for initiating and managing signature workflows as well as collecting e-signatures in person from a client or customer. Adobe Sign is a subscription service. Adobe Sign requires a network connection for most features, including access to online documents. After the screen changes based on your email address, choose your authentication method and/or enter your ID and password. For details, see the next section. 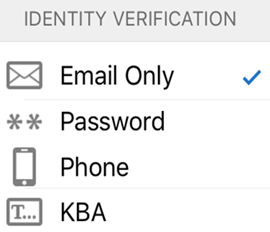 Signing in on any Adobe mobile app signs you in on all apps, including Adobe Acrobat Reader, Adobe Sign, and Adobe Scan. Signing out disables access to online documents and workflows. To sign out, tap Settings > Sign Out. 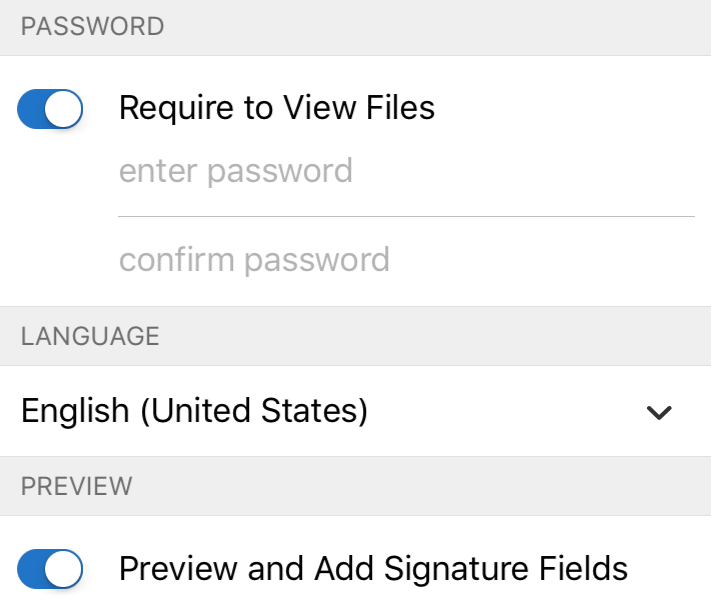 Personalize your app: Adobe Sign settings help you pre-configure workflow features, document access, cellular data usage, and so on. See App Settings. If you have not created a signature already (a signature appearance), you will be prompted to do so when you try to sign a signature field. Tap the image icon, select an image, and choose Done. Tap the camera icon, take a photo, choose Use Photo, and choose Done. Enter your name in the text field above your signature. Check Save if you want to reuse this signature. Note: The label varies based on whether you’re logged in. Drawn signatures are not saved unless you toggle the Save slider to on. Signing workflows require access to the files which require signing. Granting Adobe Sign access to your local and online files streamlines subsequent workflows. Initiate any workflow that requires choosing a document (for example, Send for Signature or Get Signature in Person). If logging in is required, log in and grant Adobe Sign access to the new location. Document views which display lists of documents provide a search field. To search for a document, tap . 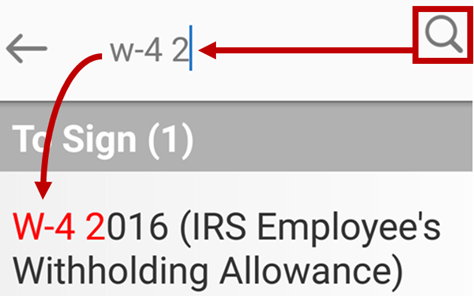 You can search for any part of the text string in the display, including the file name, date, signer’s name, and so on. Swipe left from the right side of the screen. Note that the menu items are context sensitive, and some items don’t appear on the menu if they are not relevant to that document or document list. Open a document and tap . 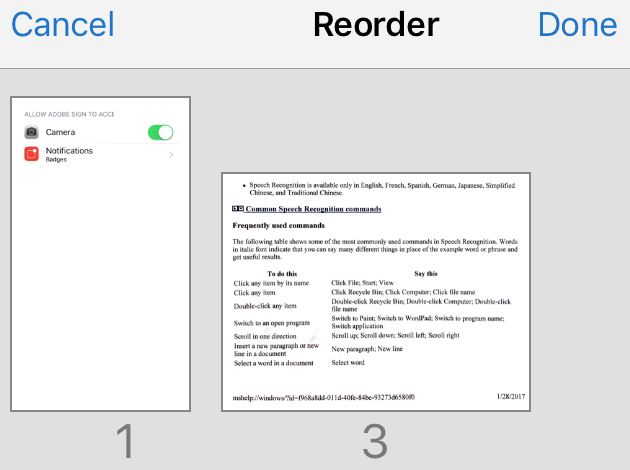 From any document list, show the quick access menu and tap as described above. You can not print an agreement that’s in an open workflow. To print, the agreement must be completed or cancelled. Tap Select Printer and configure a connection. Specify the number of copies. You can share, copy, and perform other tasks on any file that’s not in an open workflow. 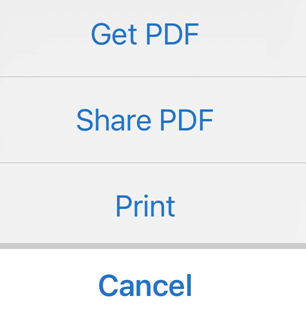 Tap Share PDF to perform tasks with other apps such as copying, saving to Dropbox, and so on. 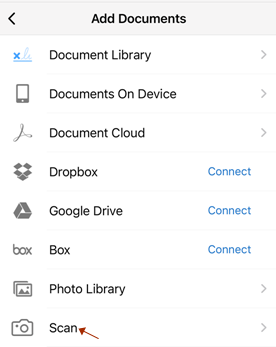 Tap Get PDF to copy the PDF to another location such as Acrobat or other 3rd party storage locations. Tap any category such as Waiting for others. Swipe down just below the search bar. 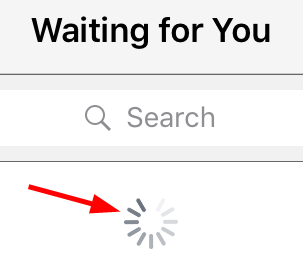 A rotating spinner indicates the page is being refreshed. Tap any document location. Sign in if required. Tap anywhere outside of the Recipients panel (e.g. Message, Options, etc.). 4. Tap any document location. 7. Enter one or more email addresses, or tap to select someone from your contacts list. 8. 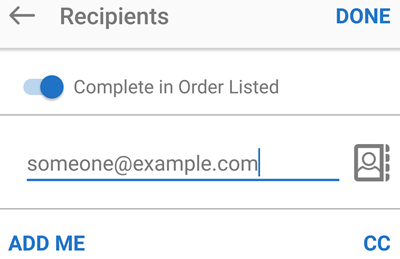 Slide the Complete in Order toggle off if you do not want to require signing in the same order as the listed recipient order. 9. 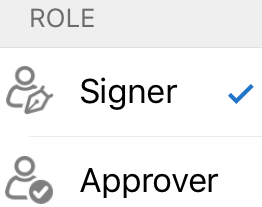 If you want to set the signer’s role or authentication mechanism, tap the signer icon. 10. Specify the signer’s role as signer or approver. 13. If you need to customize the email message, tap Message, and edit the document name or message. ○ Slide the password toggle Require to View Files to password protect a signed document. Enter the password twice. ○ Slide the Preview and Add Signature Fields toggle to review signature fields before sending. 15. Phones only: Tap Done. 17. If you chose to add or edit any fields, you can change the document as needed when it reloads. For any document, swipe left from the right side of the screen to show the action menu. This menu lets you view the file’s history, send reminders, and initiate host signing. Get the document signed by someone in person. If you want to notify the signers, Notify other parties by email. Enter an optional reminder message. Have the signer confirm their identity by tapping I am somesigner@signersemail. 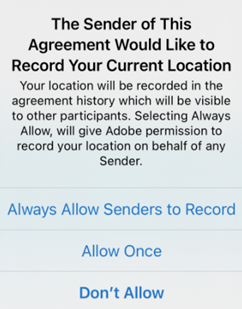 If the Record your Current Location dialog appears, choose whether to allow Adobe Sign to add the signing location information to the document’s history. Tap Add Documents at the bottom of the screen to add more documents. To delete a file, tap the remove icon > Remove. To reorder the document list, long press the list icon (3 horizontal lines), and drag the file to a new location in the list. The Waiting for You panel lists documents sent to your for signing. 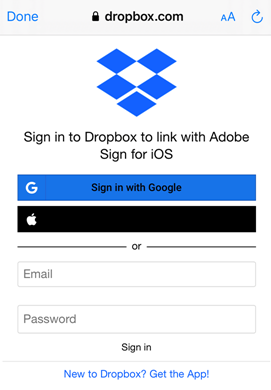 You can sign from your phone, online, or any device with access to Adobe Sign. The process is simple if you have already created and saved a signature. To store a signature for future use, see Creating a signature. 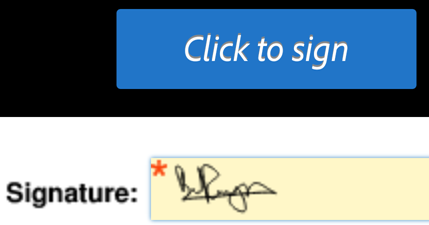 Tap a signature field. If you’ve stored your signature, your signature will automatically appear. The widget allows your to see either Waiting for You or Waiting for Others. Selecting either displays that document list. You can send a document for signature or get a document signed in person. Tapping an agreement takes you directly to the signing workflow. If you are not signed in, the widget prompts you to do so. Adobe Sign automatically downloads agreements less than 30 days old on application launch if there is an internet connection. Older documents must be downloaded demand. If there is a down arrow next to a document in a document list, the document is online and must be downloaded prior to signing. If the document is already on your device, you can work with that document and sign it without an internet connection. The document will reside in your outbox until an internet connection becomes available. Signatures cannot be cleared once the document is saved. 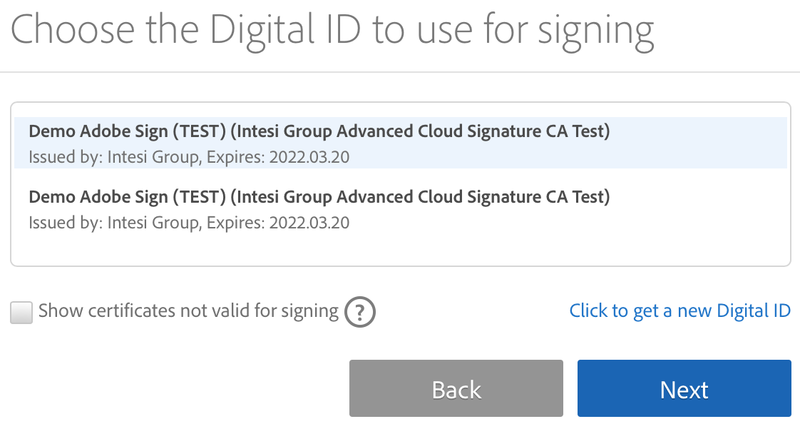 Users in enterprise environments may be required to sign with digital signatures or initiate signing workflows that use them. 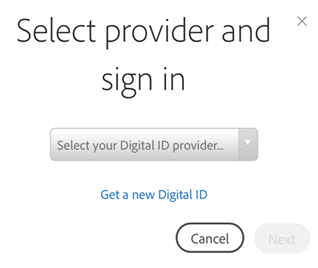 In many cases, your account admin will have selected a digital ID provider and created a digital ID for you. Since digital IDs require a log in credential and workflows vary by provider, signing details should be provided by your organization. The scan feature requires access to your camera. When prompted, choose Allow. Alternatively, use the device settings to configure Adobe Sign ahead of time. For details, see App Settings. Tap Done. to return to the signing workflow. 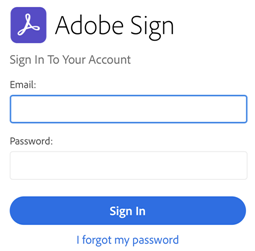 Adobe Sign allows you to download documents so that you can view and sign them when you’re offline. You can control the number of documents you download, and by default, the download threshold is 100. Raise this number if you have a large number of documents to sign while you’re offline. Alternatively, limit the number of downloads if you are concerned about device storage space. Note that documents that reside online a represented in a gray font and have a download arrow icon to the right. Local files appear in a black font. Simply click the download arrow to get a file on your device. 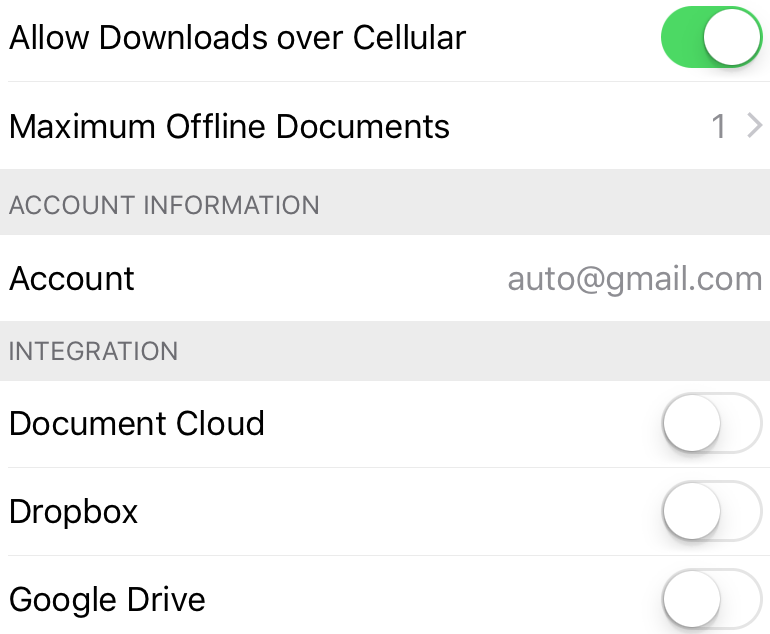 If you change this setting while offline, downloaded documents are unaffected even if the setting is lower than the number of files you already have. After you’ve changed a document, the file is added to your outbox. If you click on the exclamation point next to the outbox banner, you see complete list of files waiting for synchronization. When you go online, these changed documents are uploaded and the new threshold takes effect. In other words, the setting only applies to new downloads that occur while you are online. Allowing access to camera, photos, etc. Providing Adobe Sign with access to your location, photos, camera, and other device features streamlines workflows. The first time you try to use a feature requiring one of these features, you will be prompted to provide access. Tap the contacts, photos, or camera toggles to change the setting. Contacts: Contact access allows you to select document recipients and signers from your contacts. Photos: Photo access allows you to use an existing photo or image as your signature. Camera: Camera access allows you to take a photo and use it as your signature on-the-fly. 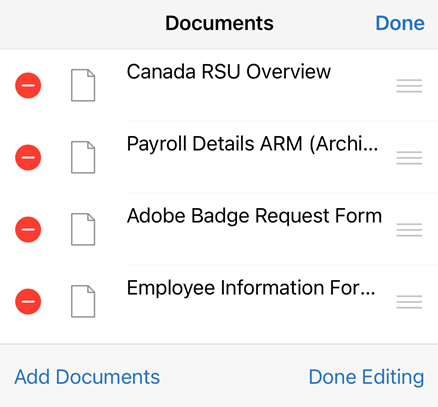 Notifications streamline workflows by showing your document’s signing status right on your home screen. They may also alert you to feature changes and product updates. 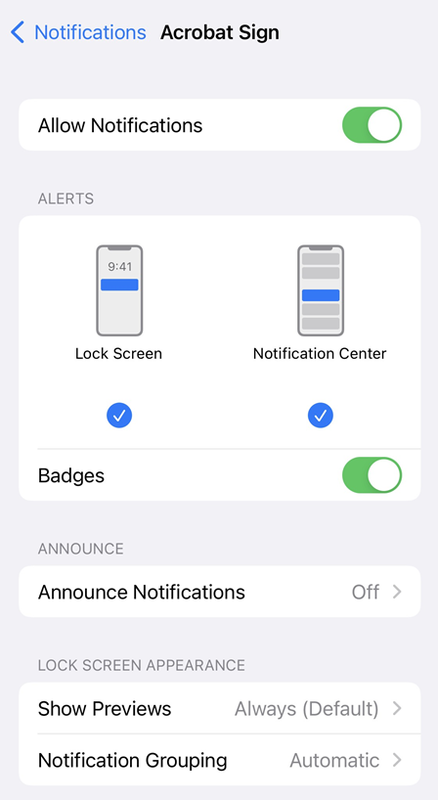 Tap Allow Notifications to toggle the feature on and off. Tap each of sub toggles to customize settings when notifications are allowed. 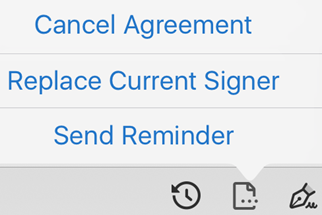 With the December 2016 release, you can now add the Adobe Sign widget to your home screen so that you can get timely notifications about pending signing tasks and sign or initiate signing workflows directly from the widget. The widget does not appear automatically after an install or update, so you must add it manually. 1. Verify your device is updated to iOS 10 (which supports widgets). 2. From the notifications or home screen, swipe left or right from the side (the method may vary based on the device. 3. Your widgets should displayed along with an Edit button and a notification saying there are new widgets available. 4. Tap the Adobe Sign widget. 5. Long press and drag Adobe Sign to the desired display location. The app has two tabs: Waiting for You and Waiting for Others. Selecting either displays that document list. If you are not signed in, the widget prompts you to sign in. By default, Adobe Sign includes the signing location in the audit trail by leveraging your device’s GPS feature to determine the signer’s location. Access to the signing location is available only when this app or one of its features is visible on screen. When you send, sign, or interact with a document, the location is recorded in the document’s history and is available to other participants. You must have a Wi-Fi or cellular connection for Adobe Sign to record the signer’s location. Tap Never or While Using the App. The user is always asked whether they want their signing location recorded in the document audit trail. 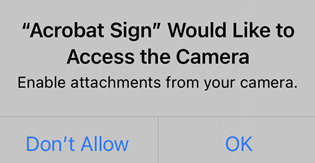 When a document is sent for signature, the recipient is asked whether they would like their location recorded, and they can choose Don’t Allow or OK. When getting a signature in person or when the device owner is signing, the signer has the option to choose Allow Once or Don’t Allow. 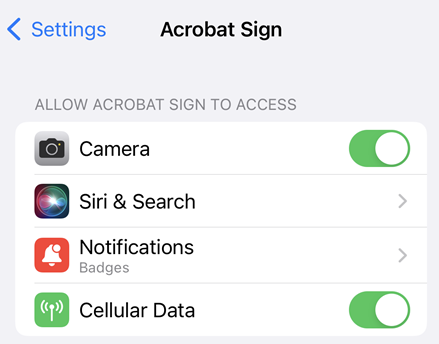 Adobe Sign’s location data is most accurate when the device has direct access to GPS satellites as well as Wi-Fi and cellular connections (cellular data must be enabled). The second best option is to use GPS and cellular data connections together. You must have a Wi-Fi or cellular connection otherwise Adobe Sign will not collect any location data. Relying on only one of the three will tend to produce less accurate location data. In all cases, accuracy varies with a device’s capabilities as well as the number of visible GPS satellites. For more information, see https://support.apple.com/en-us/HT202339. When the sign in screen appears, log in. 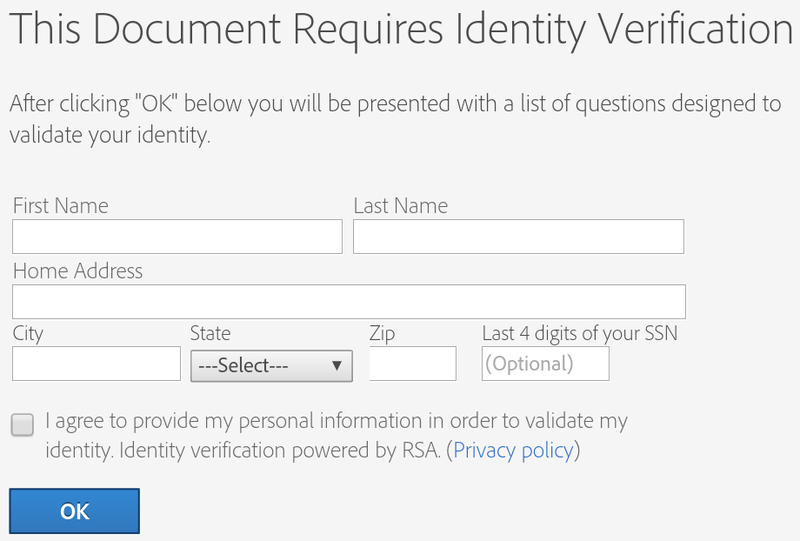 Tap Configure Single Sign On (SSO). Uncheck the Rate this app on the App Store. Why is the app asking for photo and camera access? To use an image or photo as your signature, you must have given Adobe Sign access to your photos and camera. For details, see Allowing access to camera, photos, etc..
Why can’t I install Adobe Sign on my device? Adobe Sign an only be installed on devices with iOS 8.4 and later. Some documents are password protected. Enter the document password to print. You must configure a printer connection. Open your device’s settings screen. The Version field displays your software version. Enhanced Google Drive’s log in support allows you to connect with any Google Account during signing workflows. For example, when adding a document for signing, choose Google Drive > (your) Account Name > (your file). 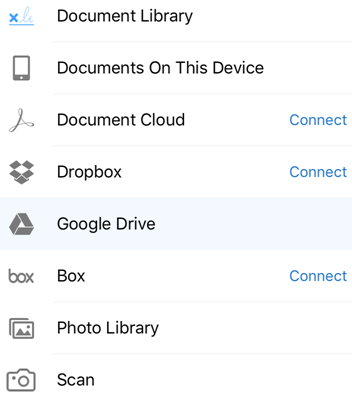 Support for Google Drive formats. You can now see Google Drive spreadsheets, documents, and presentations in the document’s list and use them in your signing workflows. 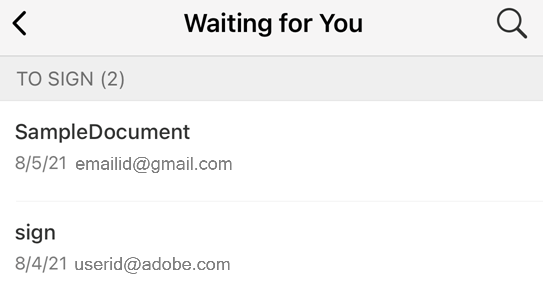 You can now add the Adobe Sign widget to your home screen to get timely notifications about pending signing tasks and sign or initiate signing workflows without opening Adobe Sign. Pending tasks appear as notifications. 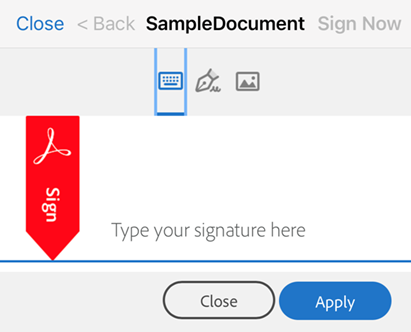 Adobe Sign now records the signer’s location in document audit trails. 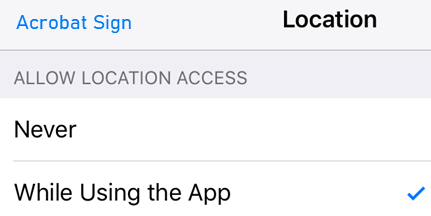 By default, this feature is enabled in the iOS settings. If you are online or have a cellular connection, when you send, sign, or interact a document, the location is recorded in the history available to other participants. A new Reading Mode allows visible page text to reflow to fit the current view. For example, as you zoom in and out, line breaks move to fit text on the page in the same way that an HTML page reflows as you resize your browser. To enable reading mode, simply tap when a document is open. Some pages are treated as images and can’t be zoomed in. When a page or document is too complex for reflow, a dialog appears saying so. Tables without borders are usually not recognized as tables and don’t reflow well. Math formulas and certain types of exactly formatted text will sometimes be erroneously reflowed. Secured documents may not be able to be reflowed. A new fly-out menu allows you to complete actions in fewer steps. For example, while viewing any document list, swipe left from the right side of the screen to show a context-sensitive action menu. You no longer have to open a document to perform these actions. Text has been replaced with icons in several places so that user interface interactions are more intuitive. For example, see the action menu above.